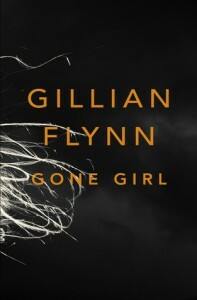 It’s a bit ironic, but I ended up reading Gillian Flynn’s older books before I was able to read her highly acclaimed “Gone Girl.” I first read “Sharp Objects,” which captured my attention from the first paragraph. It contained many dark moments, but I was left marveling at Flynn’s prowess over words long after the last page. I read “Dark Places” next and really struggled with the flamboyant overuse of profanity. Despite my distaste for the senseless cursing, the mystery aspect of this story was quite thrilling. Flynn truly does have a knack for writing compelling psychological thrillers. Therefore, it's no wonder why I found “Gone Girl” riveting. The first part of the story was a bit slow, but it achieved its goal of making me question Lance. I can’t tell you how many times I changed my mind regarding whether he was guilty. I was completely suckered by Amy’s fictitious diary entries. The second portion immediately captured my attention, which meant I spent the rest of my Saturday eagerly poring over the well-thumbed pages of my library copy. 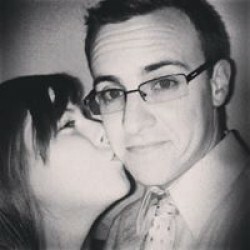 The relationship between Amy and Lance was quite twisted. Amy’s retaliation against those who wronged her was truly chilling. Despite her obvious lack of mercy, her methodical nature of making sure she got her revenge garnered my grudging respect. On the other hand, Lance came across as quite weak and easily manipulated. Even though the characters weren’t the most admirable, Flynn manages to make their viewpoints come alive. I found myself sympathizing with Amy in one chapter and in the next ready to throttle her for conning almost everyone so flawlessly. I'm definitely excited to see the movie :D.